On 1 January 2015 the Building Amendment Act 2013 came into force. As well as strengthening the consumer protection provisions currently in the Building Act 2004, it also implements new obligations for builders and increases their potential liability. If you work in the building industry, its important that you are aware of these changes so you dont get caught out. Why is there a new Act? The new legislation has come about as a result of a comprehensive review of the Building Act 2004. The government hopes that the changes will act as an incentive to those working in the building and construction sector to deliver better quality and affordable homes and buildings. Some changes took effect immediately when the legislation was passed, including changes to the type of work that doesnt require a building consent, changes to terms and definitions referred to in the legislation, and an increase in the maximum penalty charge from $100,000 to $200,000 for work completed without appropriate building consent. The changes that took effect on 1 January 2015 include those outlined below. Written contracts are now required to be signed for building work valued over $30,000, where a builders customer is the homeowner. Before a contract is entered into, a builder must now provide their customer with information about their skills, qualifications, licensing status, insurance they carry, and guarantees and warranties that apply to their materials and workmanship. A builder now also has to provide a checklist that alerts the customer to the risks they are taking by entering into the contract. Once a builder has completed the work, they must provide their customer and the local council with copies of guarantees and warranties, ongoing insurance policies and information on any maintenance requirements in relation to the building work. Builders who dont supply contracts, or give false information, can be fined. If no contract is provided or signed, or the contract doesnt contain all the necessary clauses (as outlined in the Act) the governments clauses will apply by default. There is now an automatic 12-month defect liability period. During this period, a builder must fix any work that their customer believes is defective, unless the builder can prove otherwise. There are new remedies for breaches of implied warranties under the Building Act 2004. For example, if the breach is substantial, customers can cancel the contract immediately and recover any additional cost in having the breach remedied from the original builder. Customers may also obtain damages from the builder for loss or damage resulting from the breach. What are the new documents builders need? The written building contract, signed by both the builder and their customer. We advise getting in touch with us to make sure that the building contracts you use are compliant with the new legislation. The checklist that must be given to all potential customers. The disclosure statement that must be given to all potential customers. The guarantees and warranties, insurance policies and maintenance requirements that the builder must provide to their customer at the completion of the work. If you are a builder we would advise getting in touch with us to discuss how these changes will affect you and your customers. You will want to make sure that you have everything in place to ensure that youre compliant with this new legislation. Guarantees are a common form of credit enhancement often required by banks and other lenders before they will provide finance, including loan advances. Although youre no doubt familiar with guarantees, this article reminds you of what you need to know and the risks you could be taking if you become a guarantor. A guarantee is a contract to assume, or to discharge, the liability (or obligation of) a third party. In other words, if youre providing the guarantee (the guarantor) then youre promising to pay a debt if the third party (the debtor) does not. If the debtor defaults, you are responsible for repaying the debt to, for example, a financial institution or bank (the lender). The most common scenario is that a lender requires mum and dad to guarantee the borrowings of an adult child. The child (and this could also include his or her spouse or partner) may want to borrow money to buy a house or start up a business. Before the money is lent, the lender gets the parents to sign a guarantee; the parents may also be asked to authorise a mortgage in favour of the lender as security that could be a mortgage over the parents home or business, or both. Other situations include company directors personally guaranteeing company debt and, likewise, trustees guaranteeing trust debt. Often, particularly in the parent-child scenario, guarantees will be entered into without much thought as to the risk. Granted, theres an element of human nature at play with parents doing what they can for their children. However, this generosity shouldnt blind people as to the risks which can be huge. There are cases of guarantor parents losing large sums of money, and even their homes, when their son or daughter defaults on their responsibilities. So entering into a guarantee is not a decision to be taken lightly and without access to the relevant information. In practical terms, its important that you understand the wording of the guarantee itself and the implications of what youre entering into. How much are you guaranteeing? Is it a fixed sum or a continuing liability as to whatever may be owing? Be particularly careful with the latter. Why is the debtor borrowing the money? What is it for? What is their income situation and their outgoings? Can they comply with the repayment requirements? Ideally youll have a good working knowledge of the debtors financial position and the rationale behind the transaction. If you dont have this information, then ask the appropriate questions before taking the matter any further. You also need to understand the actual consequences of the guarantee. In short, if the debtor cant pay the debt, then the responsibility will pass to you. This is fundamental. As guarantor you are essentially stepping into the shoes of the debtor. Their liability is potentially your liability. So, ask yourself, do you have the funds to settle the debt if required? Will that mean selling your home or even being forced into bankruptcy? Whats more, the lender may not give you a choice about this if you have granted a mortgage in favour of the lender over your assets. Ultimately, after youve made the appropriate enquiries and you have doubts about the debtors ability to service and repay the debt, common sense would suggest you dont provide the guarantee. This could be an uncomfortable decision to make in a family-type situation. It does, however, beat the awkwardness of that same guarantee going bad and you being called upon to settle the debt which may involve selling your house and/or your business. While guarantees are a very useful tool, particularly for a debtor wanting to get ahead, as guarantor you should be cautious about entering into a contract such as this, particularly for large sums of money the consequences of your liability being called upon can be significant. Make sure you have all relevant information about the debtor and the debt itself; not only initially but also on a continuing basis. Ensure you have carefully weighed the potential risks involved against the benefit to be gained by a debtor (usually from having access to a loan) before ultimately deciding whether you go guarantor. This is not a decision to be taken lightly.  Guarantees are legally binding documents enforceable through the courts. If youre unsure about becoming a guarantor and would like some guidance, do get in touch with us. On 1 December 2014 the second phase of the implementation of the Financial Markets Conduct Act 2013 came into force. The Act has replaced the Securities Act 1978 as well as several other pieces of legislation and, in doing so, has completely overhauled New Zealands capital markets and financial services law. We also remind companies of the improved avenues for raising capital under the new legislation, some of which came into force in early 2014. As well, offering an employee share scheme is now significantly more straightforward than it used to be. If youre looking at raising capital this year or putting an employee share scheme in place, we can help you get to grips with the new requirements. Flexible working arrangements: All your employees will have the right to request flexible working arrangements, not just those responsible for dependents. Employees will be able to request flexible working arrangements from the start of their employment (currently its set at six months). The current limit on the number of requests your employee can make in a year will be removed. You must respond to your employees request within one month; currently employers have three months to respond. Rest and meal breaks: The changes introduce more flexible rest and meal break provisions so that your employees have a general right to a reasonable opportunity to rest, eat, drink and deal with personal matters, rather than the strict rules that currently apply. However, if you and your employee cant agree on the timing of breaks, you have the right to make the decision on this. Also, you must provide reasonable compensation if your business is exempt from the requirement to provide breaks. Make sure youre familiar with how the changes will affect your workplace and your employees before the changes come into effect on Friday, 6 March 2015. The collaborative activity is not carried on for the dominant purpose of lessening competition between those parties. For example, the purpose of entering into the JV might be to address risks in the market as a whole, rather than eliminate competition between the JV partners. If you are involved in a business with existing joint venture arrangements, you should review these contracts now to ensure they are not captured under the extended prohibitions of the Bill. If they do come under the new prohibitions, you may want to assess whether they fall within the collaborative activity exemption.